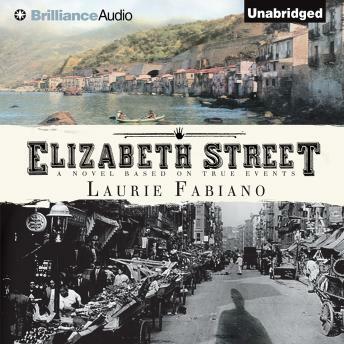 In Elizabeth Street, Laurie Fabiano tells a remarkable, and previously unheard, story of the Italian immigrant experience at the start of the twentieth century. Culling from her own family history, Fabiano paints an entrancing portrait of Giovanna Costa, who, reeling from personal tragedies, tries to make a new life in a new world. Shot through with the smells and sights of Scilla, Italy, and New York's burgeoning Little Italy, this intoxicating story follows Giovanna as she finds companionship, celebrates the birth of a baby girl, takes pride in a growing business, and feels a sense of belonging on a family outing to Coney Island. However, these modest successes are rewarded with the attention of the notorious Black Hand, a gang of brutal extortionists led by Lupo the Wolf. As the stakes grow higher and higher, readers share with Giovanna her desperate struggle to remain outside the fray, and then to fight for - and finally to save - that which is important above all other: family.